When you are looking at memory care facilities, getting the most out of your business valuation is important; this is where discounted cash flow analysis comes into play. Quality memory care facilities don’t come cheap, and the length of time you or your loved one may need to be there is a big unknown. You need to get a truly accurate picture of your financial life, and that includes what you can expect from your business in the near future. To get the most accurate valuation of your business and what it will do in the future, the discounted cash flow analysis is the way to go for your valuation. For many business owners, a significant portion of their net worth is in their business. Selling a business is often the key to financing retirement, health care needs, or other significant expenses. While figuring out the value of physical assets is relatively easy, it is the intangible items that often hold most value. It is also exceedingly difficult to assign a dollar amount to those intangibles. Hiring a professional business valuation firm is a step in the right direction when it comes to getting ready to sell your business. The discounted cash flow analysis is the process of valuing a business based on its projected future income. By using educated projections, your team can work to figure out an amount that accurately reflects your business. Professionals start with a net present value (NPV) which totals all future cash flows. By analyzing the NPV, cash flow and the discount rate, valuation staff comes up with an amount that is reasonable. The discount rate comes from a calculation model that considers the time value of money and the risk premium. 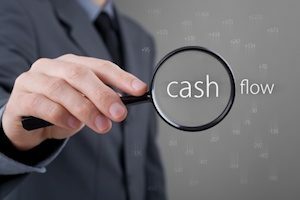 Choosing the discounted cash flow analysis is an excellent way to go. It’s a trusted valuation method used by many businesses for a wide variety of reasons. Many business owners like the fact that it looks at the potential for the future, instead of relying on past performance. In addition, the valuation process looks inward at the company, which prevents the disruption that can come from outside factors. While the discounted cash flow method of valuation is incredibly popular right now, certain businesses absolutely need to use it. This includes private companies that do not have the same requirements for sharing information as public corporations and younger businesses who may not have the financial history to prove their worth. If there is any reason your business does not have a solid financial history, it may be a good idea to stick with the discounted cash flood valuation. Many business people tend to believe they can use the discounted cash flow process on their own to come up with a business valuation. This is the biggest mistake they could make. Though an eager business owner might view the coming years through rose-colored glasses, valuation professionals know to not project too far into the future. They are also aware of the major impact a tiny change in the discount rate can have on the final numbers. Another pitfall is going with an outdated valuation of your company. If the latest evaluation is three or more years old, many things have changed – it is time for a new one. By using a discounted cash flow analysis for your company’s valuation, you are joining generations of business people who have been using this type of valuation since as early as the 1700’s. Today, many businesses still look to this type of valuation when trying to figure out how much their business is worth, especially when faced with life-changing, costly decisions, such as a move to a memory care facility. Take the first step in liquidating your business assets for a future that is worthwhile. Change is never easy. Facing the possibility of a memory care facility, even an upscale one, is simply scary. That’s why it is so important to make smart choices about your financial future, and doing that means having a full, accurate picture of exactly where you stand. That big picture includes your business – how much it is worth now, and what you can expect from it in the future. Figuring out those details starts with hiring an experienced, knowledgeable team to handle your business valuation, so you get the best results possible. Need a business valuation performed for a small business? Want to learn more about the discounted cash flow analysis method? Our team at Global Valuation can help you get the facts you need. Simply visit us online or call (770) 988-4498 for more information.